Looking for an experienced bartender who is flexible, friendly, has good work ethics, and an outgoing personality. Stop in and fill out an application anytime after 4. PLEASE NO PHONE CALLS!!! 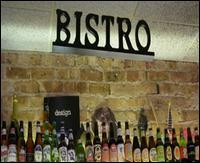 Brisku’s seeks and experienced Bartender/Server for immediate start. Full time bartender needed in Chicago area. NOVA Sports Bar and Lounge in Addison, IL is currently looking for motivated bartenders and servers to help cover our growing customer base. Looking to fill positions ASAP! Please send resume, photo and a brief description of why you think you’d be a good fit with us to mzander06@aol.com, attention: Mike. Qualified applicants will be asked to come in for an interview. Make sure to include work experience and contact information. Please no walk-ins or phone calls. Thank you for your interest in NOVA. Female bartenders – part time. Prepare drink orders for guests according to specified recipes using measuring systems. Issue, open, and serve wine/champagne bottles. Set up and maintain cleanliness and condition of bar, bar unit, tables, and other tools. Prepare fresh garnishes for drinks. Stock ice, glassware, and paper supplies. Transport supplies to bar set-up area. Wash soiled glassware. Remove soiled wares from bar top and tables and place in designated area. Anticipate and communicate replenishment needs. Process all payment methods. Count bank at end of shift, complete designated cashier reports, resolve any discrepancies, drop off receipts, and secure bank. Secure liquors, beers, wines, coolers, cabinets, and storage areas. Complete closing duties. Follow all company and safety and security policies and procedures; report accidents, injuries, and unsafe work conditions to manager; and complete safety training and certifications. Ensure uniform and personal appearance are clean and professional, maintain confidentiality of proprietary information, and protect company assets. Welcome and acknowledge all guests according to company standards, anticipate and address guests` service needs, and thank guests with genuine appreciation. Speak with others using clear and professional language. Develop and maintain positive working relationships with others, support team to reach common goals, and listen and respond appropriately to the concerns of other employees. Ensure adherence to quality expectations and standards. Move, lift, carry, push, pull, and place objects weighing less than or equal to 25 pounds without assistance. Reach overhead and below the knees, including bending, twisting, pulling, and stooping. Stand, sit, or walk for an extended period of time. Perform other reasonable job duties as requested by Supervisors. Previous experience is a plus. Applications will be accepted only at the restaurant between the hours of 2:00 p.m. to 4:00 p.m. Please do not send resumes in response to this posting. In order to be consider, you will need to come in to fill out an application. The Lucky Monk Restaurant is located at 105 Hollywood Blvd South Barrington.